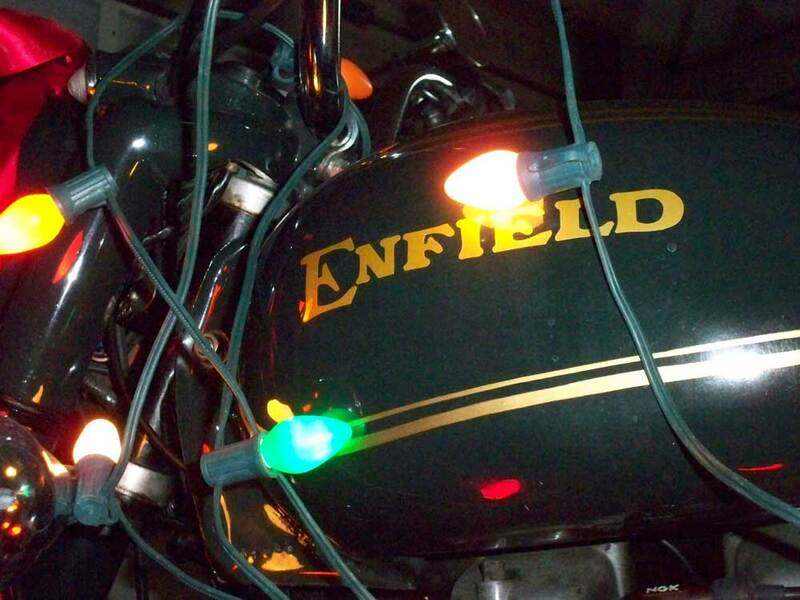 What does a Royal Enfield fan really want for Christmas? Here's a Gift Guide for the U.S. rider who really loves Royal Enfield motorcycles. 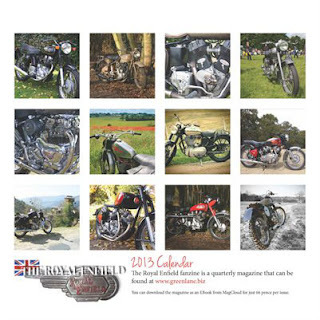 A Royal Enfield 2013 Calendar. The Royal Enfield Magazine calendar looks good. $13.08 on MagCloud. This print calendar comes with a free digital version for iPad, PDF or WebViewer. A Royal Enfield book. A wide variety of outstanding Royal Enfield books are available from writer and motorcycle adventurer Gordon May at Royal Enfield Books. 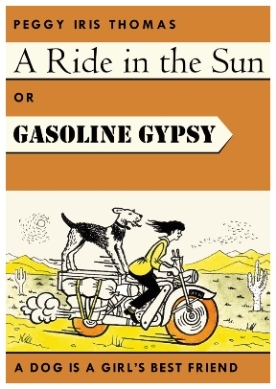 My favorite is "A Ride In The Sun" by Peggy Iris Thomas. Gordon brought this book back from being long out of print. It's a young woman's story of her 14,000-mile ride across America on her tiny BSA Bantam motorcycle. Check out the picture: she took her dog along! Note: You must order before Monday, Dec. 10 to be comfortable your book will arrive by Christmas. Vintage stuff. Every owner of a classic motorcycle like a Royal Enfield treasures old stuff — the greasier the better. Visit your local antique shop or, if imagination fails, check out the online store Three Potato Four for somewhat insane suggestions. 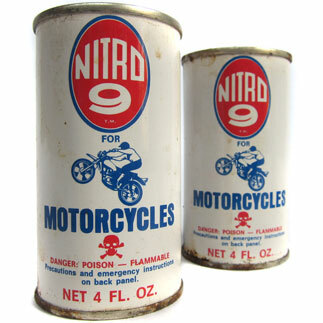 I like their vintage cans of "Nitro-9 for Motorcycles," $20 for the pair. Incredibly, they say they will ship these. Keep them away from the menorah candles. For delivery in the U.S. get your order in before Dec. 17. Brit bike wear. Her Majesty's Thunder offers truly inspired t-shirt designs by Chris Bartlett. Quality is high and you will like the prices. Order before Dec. 11 for international shipping or Dec. 18 for the U.S. Beverages. 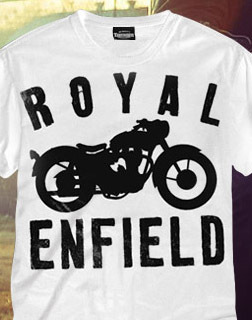 Royal Enfield Beer? Ale? Wine? Gin? 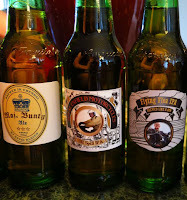 They're all "available," if you are creative enough to counterfeit a label on your computer, print it out, and attach it to an actual beverage bottle. My daughter did this for me and the results were totally convincing. 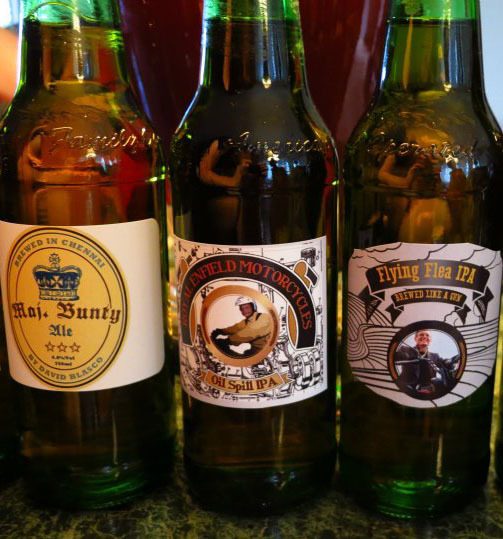 Here's how: Web sites help you turn out a genuine looking label. Toolbox stuffers. Every Royal Enfield Bullet comes with "toolboxes" handy for storing tools. Here's a list of things your motorcyclist needs to carry. Reader George Smith recently left a comment with another suggestion: a first aid kit! Got you thinking? Anything else. Your online shopping center for Royal Enfield "stuff" from books to clothes to fenders and oil filters is NField Gear the online store of Royal Enfield USA. If you can't find it here you won't find it. The site is conveniently organized and nearly all items are pictured. Best to order by Dec. 18 for delivery by Christmas Eve. Merry Christmas from me to you and yours.